Lillian H. Burrough, 79, of Princeton, died June 9 at home. Born in Dutch Neck, she had been a resident of Princeton for more than 50 years, graduating from Princeton High School with the class of 1944. With her husband, she owned and operated the Princeton Recreation Center until 1975. She retired in 1995 after more than 40 years of service with Princeton University Press. She was a lifetime member of First Presbyterian Church of Dutch Neck, a member of the Princeton Getaway Club, and an avid bowler. Daughter of the late William N. and Nellie Hockenbury Hann, wife of the late David H. Burrough, and sister of the late Mildred J. Hann and William N. Hann Jr., she is survived by a son, Chuck D. of Salisbury, Md. ; two daughters, Catherine Sirawsky of Lumberton and Cynthia Kandell of Pennington; a sister, Evelyn Walton of Jamesburg; and five grandchildren. The funeral service was June 13 at The Mather-Hodge Funeral Home. Burial was in Princeton Cemetery. Sadie Mae Harriet Stryker Calloway, 99, of Princeton, died May 31 at the University Medical Center at Princeton. Born in Princeton, she was a lifelong resident. She was educated in the Princeton School System. She worked as a domestic engineer. She was a member of Mt. Pisgah A.M.E. Church, the Elks Rising Sun Lodge No. 119, and the Order of Eastern Star Chapter No. 8. The daughter of the late Isaac and Emma Stryker, she was predeceased also by her husband, Blaine Calloway. She is survived by a daughter, Jenny Brown, and many grandchildren and great-grandchildren. The funeral service was June 4 at Mt. Pisgah A.M.E. Church, with the Rev. Vernard R. Leak, Pastor, officiating. Interment was in Princeton Cemetery. Arrangements were by The Hughes Funeral Home, Trenton. Jane M. Campbell, 93, of Denver, Colo., formerly of Princeton, died May 8 in Denver. Born in Elmira, N.Y., she had lived in Princeton for 40 years. She was an active volunteer in the Women's Auxiliary of Princeton Medical Center, the Stonybrook Garden Club, Recording for the Blind & Dyslexic, and Trinity Church Altar Guild. During the latter part of her life she maintained her interest in music, art, and flowers despite her suffering from Alzheimer's disease. Predeceased by her husband, James G. Campbell Jr., she is survived by two daughters, Bonnie Perkins and Sally Haas, both of Denver. A memorial service will be held on Cape Cod where she had a summer home. Burial will be at All Saints' Church Cemetery. Robert Eugene (Bob) Cowen, 74, of Knoxville, Tenn., formerly of Princeton, died June 4 at home after a battle with cancer. Born in Pueblo, Colo., to Thomas Roscoe and Violet Olson Cowen, he moved to Denver where he became an all-star athlete at South High School, graduating in 1948. Admitted to Princeton University as a member of the class of 1952, he earned a spot on the varsity football team, playing all four years in college and on the undefeated teams of 1950 and 1951. After graduation he worked as an educator and coach at the St. John's School in Houston, Tex., and at the John Burroughs School in St. Louis, Mo., where he was also the first director of development. In 1964 he was appointed director of development at Willamette University in Salem, Ore. In 1966 he returned to Princeton where he joined the development office, eventually serving as director of major gifts. In 1979 he was appointed executive director of development for Colorado College in Colorado Springs. He also served as the director of development at Kenyon College in Gambier, Ohio, and as president of Sterling College in Craftsbury Common, Vt. He retired in 1989 to Fairfield Glade, Tenn., where he was a member of the Druid Hills Country Club and the Fairfield Glade Community Church. He served as president of the church board. He relocated to Knoxville in the spring of 2004. Predeceased by his parents and his only sibling, Thomas Cowen, he is survived by his wife of 54 years, Beverly Hunt; two daughters, Robin Greeley of Ballwin, Mo., and Susan Coleman of New Hope, Pa.; two sons, David of Knoxville and Daniel of Vista, Calif.; and ten grandchildren. A memorial service will be held at the Fairfield Glade Community Church in Fairfield Glade, Tenn. on June 16. In lieu of flowers, memorial donations may be made to The Robert E. Cowen '52 Memorial Fund, Princeton University, c/o Nancy Kalmikoff, Gift Records, P.O. Box 5357, Princeton 08543-5357. William P. Glas, 90, of Princeton, died June 11 at Park Place Nursing and Rehabilitation Center. Born in Milburn, he had been a resident of Princeton since 1951. He served in the United States Coast Guard during World War II off the coast of New Jersey. He retired in 1980 as a recorder for Crescent Temple A.A.O.N.M.S. in Trenton after 28 years. He was a member of Princeton Lodge No. 38 F.&A.M. for 59 years; a life member of Trenton Consistory A.A.S.R. Valley of Trenton; Crescent Temple A.A.O.N.M.S. ; DeMolay Legion of Honor; Atlantic City Shrine Club; and American Legion Post No. 76 of Princeton. He is survived by his wife, Dorothy Rose Glas; two sons, Jonathan Eric of Littlestown, Pa., and Alan Randal of Noonen, Ga.; a daughter, Meridith G. Snedeker of Robbinsville; and five grandchildren. The funeral will be Thursday, June 16 at 10 a.m. at The Mather-Hodge Funeral Home, 40 Vandeventer Avenue. The American Legion will hold services at 7:30 p.m. followed by Princeton Lodge No. 38 services at 8 p.m. Visitation will be on Wednesday, June 15, from 7 to 9 a.m. at the funeral home. Burial will be Thursday in Bound Brook Cemetery in Bound Brook. In lieu of flowers, memorial contributions may be made to Crescent Shrine Center, 2311 Mount Holly Road, P.O. Box 1457, Burlington, NJ 08016. Louise E. May, 81, a Princeton resident for 76 years, died June 7 at Park Place Center, Monmouth Junction. Born in Denton, Md., she grew up in Princeton, attending the Witherspoon School for Colored Children and Princeton High School. A homemaker, she was a member of the Witherspoon Street Presbyterian Church, where she served on the Chancel Committee. She was predeceased by her parents, Wallace Holland Sr. and Carrie Wells Holland; her stepmother, Edna Wright Holland; her husband, Oscar Joseph May; and a son, Dr. Dennis Howard May. 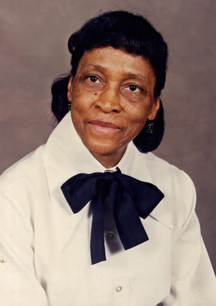 She is survived by a daughter, Patricia May-Kienhofer; a sister, Henrietta Hill, two brothers, Wallace Holland Jr. and Leon Holland; and three grandchildren. The funeral will be today, June 15 at 1 p.m. at the Witherspoon Street Presbyterian Church, 124 Witherspoon Street, with M. Muriel Burrows officiating. Calling hours will be from 11 a.m. to 1 p.m. at the church. Interment will be in Franklin Memorial Park. Funeral arrangements under the direction of The Hughes Funeral Home, Trenton. James J. McKee Sr., 84, of Princeton, died June 6 at home. Born in Princeton, he was a lifetime resident. He attended St. Paul's School and graduated from Princeton High School in 1939. He was employed with New Jersey Bell Telephone for 35 years until his retirement in 1984. He was a U.S. Army veteran of World War II, a veteran of the D-Day invasion, and a member of the American Legion Post No. 76. Son of the late Catherine and Albert McKee, he is survived by his wife of 58 years, Theresa Marie Mulryne McKee; two daughters, Theresa Stores of Hopewell and Kathyrn DeFillipo of Lawrence Township; a son, James of Flanders; and seven grandchildren. The funeral was June 8 at The Kimble Funeral Home. A Mass of Christian Burial was celebrated at St. Paul's Church. Interment was in St. Paul's Cemetery. Agillio Ranallo, 84, of Millersville, Pa., formerly of Princeton, died June 9 at Robert Wood Johnson University Hospital at Hamilton. Born in Pettoranello, Italy, he lived in Princeton most of his life before retiring to Millersville in 1992. He was a World War II Army veteran, having served as a medical technician in the Pacific Theatre. A landscaper, he was employed for 36 years at the Institute for Advanced Study. He later worked with Woodwinds, Inc. of Kingston. An active church member, he served as an usher at St. Paul's Church in Princeton and St. Phillips Church in Millersville. Husband of the late Josephine (Van Hise) Ranallo, he was predeceased also by his parents, Eleanora and Antonio Ranallo, and a brother, Elmerindo Ranallo. He is survived by two sons, Lee of Trenton and Raymond of Ewing; a daughter, Roxanne M. Ranallo of Hamilton; a brother, John of Ewing; and four grandsons. The funeral was June 13 at The Kimble Funeral Home. A Mass of Christian Burial was celebrated at St. Paul's Church. Interment was in Princeton Cemetery with military honors. In lieu of flowers, memorial contributions may be made to a charity of the donor's choice. Josephine (Sculerati) Tessein, 82, of Hightstown, died June 8 at the University Medical Center at Princeton. She had been a lifelong resident of Princeton before moving to Hightstown a year ago. She was employed at Center Stationers in Princeton Shopping Center for 32 years and later worked at Edith's Lingerie for two years before retiring. Daughter of the late Vincenzo and Libera Sculerati, she was predeceased also by her husband, Rudolph ³Ferd² Tessein, and by several sisters and brothers. She is survived by a son, David F. of Spotswood; a daughter, Linda Baldino of Hightstown; a sister, Angelina Diaforli of Princeton; and four grandchildren. The funeral was June 11 at The Kimble Funeral Home. A Mass of Christian Burial was celebrated at St. Paul's Church. Interment was in Princeton Cemetery. Memorial contributions may be made to a charity of the donor's choice. David Lester Tibbals, 59, of Atlanta, Ga., formerly of Princeton, died June 8 in Atlanta. Born in Chicago, Ill., he lived in Princeton until 1971. A graduate of Princeton Country Day School and South Kent School, he received a B.A. and M.B.A. from Rutgers University. He was the founder and president of David L. Tibbals Inc., a risk management firm in Atlanta. He is survived by his wife, Leslie Benson Tibbals; his parents, Lester and Christina Tibbals of Montgomery; and two sons, Peter of Los Angeles and Alexander of Atlanta. The funeral took place in Atlanta on June 11.